When you imagine scenes of British Columbia, fishing marinas, Canadian moose and luxury spas come to mind. Yes, that’s right, luxury spas. British Columbia has definitely mastered harnessing the beauty of their landscape and turning it into relaxing spa rituals. Indulge in unique treatments with local flair like coastal seaweed and lavender. Cocoon yourself in one of many body wraps using natural products, though we must caution there is no Maple Leaf Body Wrap. So peel back that layer of hesitation and travel north for the ideal exfoliation! British Columbia has distinguished themselves as a land of leisure both inside and out with these significant spas. Set amidst humble pines and babbling brooks, Tigh-Na-Mara Resort is the perfect location for your next spa retreat! Tigh-Na-Mara Seaside Spa, Gaelic for “House by the Sea,” is set on 22 acres of forested land beside the ocean; the perfect location for a relaxing spa getaway! The resort is home to the Grotto Spa, which offers signature treatments and services and puts a special focus on West Coast ingredients. The spa opened in March of 2003 as one of Canada’s largest full-service spas and features a 2,500 square foot warm water pool which is infused with natural minerals and trace elements. The spa’s treatments include body wraps, massages, manicures, pedicures, and facials. Come to the spa alone or with a large group, Grotto Spa will accommodate it all and provide you with a tranquil and relaxing experience. Tigh-Na-Mara Resort features 192 unique accommodation units. There are four types of units, the log cabins, spa bungalows, oceanview units, and the Jedediah Lodge. The log cabins are perfect for vacationing families, the ocean view condos are ideal for weekend romance seekers and busy business travelers and the spa bungalows can accommodate groups, girlfriends and couples seeking a one-of-a-kind spa get-away. Besides relaxing in the spa, there is much to do at Tigh-Na-Mara Resort including renting mountain bikes, taking a swim in the ocean or onsite pool, working out in the fitness center, or taking the kids to the onsite playground. Along with all that, the Resort has a tennis court, basketball hoop, a ping-pong table, a volleyball court and two horseshoe pits. Discover the ultimate in relaxation with a stay at the Wickaninnish Inn in Tofino, British Columbia. The Ancient Cedars Spa at the Wickaninnish Inn offers guests an unparalleled spa experience. Their use of Elegant Comfort Zone combines a holistic approach to spa treatments with grounded science to bring relaxation to mind and body. More than just massages, Ancient Cedars Spa is an experience. Their spa packages make it easy to spend two or even four days relaxing at Wickaninnish Inn with massages to relax you, yoga to help your muscles unwind, and luxurious accommodations to let you sleep easy. Wickaninnish Inn is a certified green hotel, meaning your stay in this stunning setting will help keep the area beautiful for future generations. Don't let your massage be the only luxurious touch added to your vacation. The cuisine at the Wickaninnish Inn offers the perfect way to delight your tastebuds during your spa vacation. Sparkling Hill Resort's onsite spa will make you feel so good you'll wonder if they just gave you an entirely new body! Spoiler: they didn't, they're just really good at what they do. As one of the finest spa resorts in BC, Sparkling Hill Resort attract tranquility seekers from all over the world. They come for many reasons, but chief among them is the fact that the spa offers more than 100 innovative healing treatments. The onsite professionals will customize your treatment to your exact specifications, and if you're worried it'll be too crowded, never fear: there's more than 40,000 sq. ft. of treatment space, all infused with unique Swarovski crystal architecture and Sparking Hill charm. Come for the spa, stay for the hospitality! 'KurSpa' comes from the German word kur (which means 'healing') and spa (Latin for 'water') to mean 'health by water'. Grab a cup of coffee at Barrique & Java, the perfect spot among Okanagan Valley restaurants to begin or end your day in relaxed refinement. The Spa at Sooke Harbour, besides providing superb comfort and relaxation, offers dedicated treatments and specials for both men and women's programs! Besides men and women, treatments are offered for bridal showers, athletes, and even an "In The Doghouse Package", meant to be gifted when you're in trouble with your significant other. Whatever you choose, you'll enjoy various types of massages, a full body sea salt scrub, facials, pedicures, and even mud baths! Afterwards, you have both the comforts of Sooke Harbour House AND the many charms and attractions of Sooke to look forward to! It's truly an ideal weekend getaway. The hotel is 4.9 km from Sooke Region Museum and 21 km from French Beach Provincial Park. Continental breakfast is complimentary, and the fine-dining restaurant offers a seasonal menu featuring produce from its own garden. Rejuvenate yourself at the Silver Water Spa at St. Eugene's Golf Resort & Casino! Make your getaway extra relaxing and take advantage of their luxurious spa environment and holistic wellness. Their different treatments include facials, body wraps, massages, waxing, and make-up application. At Silver Water Spa you're guaranteed to feel rejuvenated! Let their professional staff help you find the treatment that's just right for you! St. Eugene Golf Resort & Casino features 125 sophisticated guest rooms, plenty of entertainment to enjoy including a luxurious casino featuring 240 slot machines. And if that's not enough, an 18-hole championship golf course invites you to have a great tee time! 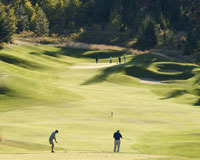 St. Eugene Golf Resort & Casino has a rich history that dates back to the 1800s. The area around the resort was occupied by the Ktunaxa (pronounced “k-too-nah-ha”) people for over 10,000 years, and their traditional territory now includes much of southeastern British Columbia. Back in 1873, the Oblate Order founded the first mission near the resort's current location and served as a school, residence, and also a hospital. In 1893, a Ktunaxa First Nations member named Pierre discovered a rich ore body, which was then used to finance new mission buildings and the St. Eugene Church in 1897. The premier luxury resort in the Southern Gulf Islands, Poets Cove is the perfect relaxing west coast getaway. Just a short ferry, boat or seaplane ride away from Vancouver, Victoria and Seattle, this small island oasis still manages to feel beautifully secluded. Poets Cove's Susurrus Spa takes its inspiration from the word “susurrus”, which means “a whispering sound or murmur.” Those are the only sounds you'll be making during your intensively relaxing treatment, whether you're getting a massage of a facial. The spa specializes in Hawaiian, classic Chinese and South Asian therapies, and seeks to unlock tension and stress to promote physical, emotional and mental wellness.Slip into your provided comfortable robe, sandals and grooming amenities, and sample the complimentary treats, tea and lemon water while you wait for your treatment to begin. Believe us, it's worth the wait. The resort and spa is a 4-minute walk from the Enchanted Forest nature park. Amenities include an outdoor pool, a marina and a gym. Without having to grow gills and create an underwater spa, how can one quench their skin’s thirst through the restorative powers of the sea? The Spa at Delta Grand Okanagan Lakefront Resort has brought the healing from beneath the wave to the surface of your being. Using Phytomer, a French product made of 100% marine active ingredients allows access to trace elements, minerals and sugars that are vital for our skin. Phytomer body wraps start with a full body exfoliation and then move to your choice of Detoxifying, Re-Mineralizing, Slimming Body, Aroma or Exfoliating Body Glow Wrap. If you want more water with those marine products, then take the time to soak in the Bouvier tub. The 144 underwater jets massage away muscle tension, improve circulation and eliminate toxins. Immerse yourself in the Aromatherapy, Seaweed or Seawater Hydrotherapy Bath. If you really want to put Delta Grand Okanagan Lakefront Resort’s Spa to the test, try the Prestige Sea Essential Facial. Phytomer along with the Wrinkle Concentrate, Firming Concentrate and Eye Radieux Mask are used to return your skin to its youthful glow and bring peace and relaxation. Experience the water’s healing effects on land at Spa at the Grand. Warm basalt stones and chilled marble stones can be paired with a massage for the ultimate in body relaxation and tension elimination. A unique massage to get as the ultimate stress reliever is the Indian Head Massage. It is useful for relieving a tight neck, aching shoulders, tension headache, eye strain or insomnia. The Lavender Cloud package includes a Body Exfoliating Salt Glow, a Re-Mineralizing Hydrotherapy Bath and a Thai-based massage using heated bolus that contain lavender buds and marine salt crystals. Discover one of Victoria, British Columbia's most beloved landmarks during your spa getaway at the beautiful Oak Bay Beach Hotel. With the stunning Pacific Ocean coastline as your backdrop, a vacation at Oak Bay Beach Hotel is sure to offer you a refreshing and inspiring setting for both relaxation and fun. Here, you can truly escape the hustle-bustle of city life or the stress from work and unwind at their luxurious Boathouse Spa & Baths. The spacious spa truly serves as a sanctuary during your stay, where you can enjoy the views of the waves and Mt. Baker in the distance and indulge in a menu of soothing treatments. Their Registered Massage Therapists are here to ease away all the tension with a range of rejuvenating treatment options. Choose from massages to facials to hand and foot treatments, plus signature therapies and manicures and pedicures. Unwind with a Boathouse Classic massage, a Sea-Scalp Therapy, or a three-hour Power of the Sea Therapy. No matter what you decide to try, you'll be sure to leave feeling completely like new! The Boathouse Spa & Baths also offers a range of fitness and wellness classes to keep you healthy throughout your stay. Sign up for yoga, water aerobics, or personal training classes and let their trained professionals help you find the perfect balance between relaxation and keeping fit! After a treatment at the spa, unwind even further with a delicious meal in their dining room. Serving up a menu of unique, gourmet meals all prepared with local ingredients, it's the perfect way to end your day. Where is the one place you can get diamonds, a chocolate vanilla smoothie and a Great Guy Package? The answer is Absolute Spa at Century Plaza Hotel! Offering unique treatments and services, Absolute Spa is a luxurious retreat. Diamonds are indeed a “Girl’s Best Friend” and the name of the package that will replenish your skin with a microdermabrasion diamond facial, collagen infusion advanced face treatment and a diamond pedicure. Bring on the bling! Your chocolate vanilla smoothie was never been this healthy: ivy extract draws out toxins and reduces water retention, vitamins A and C are the anti-oxidants and macadamia oil moisturizes your dry skin in this body buff. And for that handsome honey in your life there’s the Great Guy Package. He’ll be ever grateful after a deep tissue massage to relieve all his stress and tension and a professional men’s foot care treatment. Guests and their needs are always in the forefront of Absolute Spa at Century’s priorities. If you’re suffering from jet lag after trying to sleep in those uncomfortable plane chairs or feel totally drained – don’t live with it, relieve it. The Flight Fatigue Package and In Spa Therapy Baths will restore your energy level! Absolute Spa offers Ionithermie. Combining technology and natural deep sea vegetation, these treatments create firming and lifting using two mild, pain-free stimuli, paired with pure active ingredients. The “You Glow Girl” Package is exclusively designed for teens and includes a teen facial, manicure, pedicure and mineral make-up lesson! Love Handles Body Treatment targets the midriff, stomach and lower back. This intensive treatment targets those areas on both men and women to help that area become tighter and more toned and to alleviate lower back tension. An island is the perfect place to unwind and set yourself apart from the world’s worries. Take this vacation mentality one step further on Vancouver Island at Kingfisher Oceanside Resort’s Spa and achieve that precious state of peace. Pacific Mist Hydropath therapy is a truly unique method of re-mineralization, detoxification and relaxation. For an active rejuvenation of the legs, take the River Walk. Jets are placed along the river, which has both warm and cool sections, to massage from the feet to up the legs. This will create a lighter feeling in the legs because of increased blood circulation. And walking in circles has never been so cherished as in the Mineral Massage Pool with jets that proceed from the lumbar region of the back up to the shoulders! If rebalancing your energy is a solitary affair, try the Glacial Clay Body Wrap. Clay harvested from the Vancouver Island glacial lakes is warmed and blended for you. Top off with a Thalassotherapy Bath. Even after you leave the island, the supple skin created by this 140-jet bath and unique wrap will stay with you! The Eye-vive treatment uses anti-puff, anti-wrinkle and anti-circle care with a gentle cleansing, contouring massage and cooling eyeslice application. The coastal seaweed helps to regulate metabolism and eliminate toxins and impurities from the body. A Registered Massage Therapist is onsite to customize a massage that addresses your specific needs. Summertime brings fun in the sun but we can forget that the sun brings more than fun. Alleviate the pain from that lobster-red burn with Predator Ridge Spa’s Okanagan Summer Soother. A cool aloe and hydrating masque is applied to the whole body while you lie on warm water-filled pillows and receive a scalp, head and neck massage. After a day on the golf course, our arms can be tired of swinging and our feet tired of walking and our game can start dwindling. Get your stats back up through an Athlete’s Performance Treatment combining a massage, assisted stretching and pressure point release to get you back in the game! If you don’t believe that one person can please you, try two. The Tandem Two Therapists Massage is involves two therapists working in tandem on a full body massage, preceded by a foot soak. Be rejuvenated at Predator Ridge Spa. To put body and mind in sync, take advantage of Chakra Balancing featuring aroma blends, deep tissue back massage, reflexology foot massage, chakra energy work and guided meditation. Two people massaged by one therapist simultaneously! Expecting mothers enjoy a full body massage while being cradled in smooth water pillows. Facial enhancements are offered to address skin concerns such as acne, aging, dryness and dehydration. Looking for a one-of-a-kind spa experience in a beautiful, wooded mountain lodge? You're in luck. Wood Mountain Lodge has quickly become one of the best spa resorts in British Columbia thanks to the efforts of founding father and visionary James McLeod. This special place has also become one of Vancouver Island's top wellness and health resorts, offering private weight loss and fitness retreats in a gorgeous mountain setting while being only a 30 minute flight away from Vancouver. The spectacular lodge features 12 cozy, log cabin-style rooms with private bathroom, open-concept dining, lounge and a spacious spa area with outdoor hot tub, steam room, gym and private massage rooms. The incorporation of large windows helps to eliminate the boundary between the cozy, indoor environment and the stunning outdoors emphasizing a spectacular ocean view across Georgie Strait and onto the coastal mountain range. Wood Mountain Lodge prides itself on being a four-season resort. ATV or mountain bike in the spring; swim or fish in the summer; hike and sight-see in the fall; and ski or snowboard in the winter! Wood Mountain Lodge offers three exclusive packages that are unique, inexpensive and incredibly rewarding. Try a Helicopter, Wildlife or Hike to Health package upon arrival!